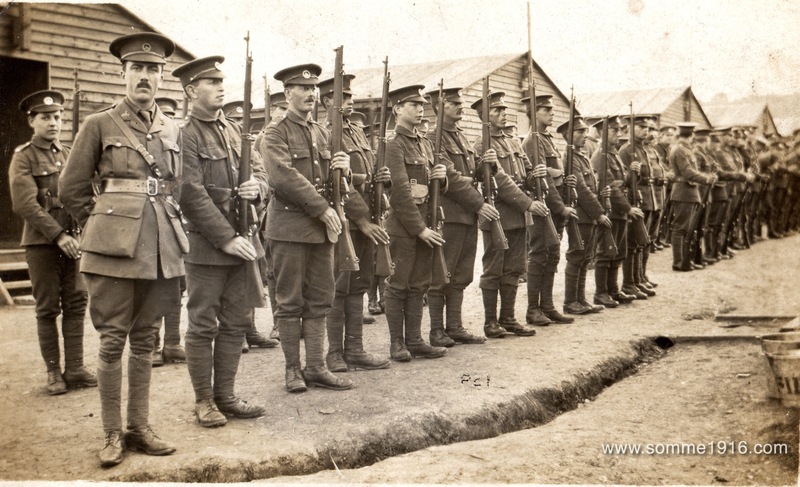 This image shows men of the South Wales Borderers who served in one of the battalions of this regiment which fought with the 38th (Welsh) Division at Mametz Wood in July 1916. On this day, 7th July, one hundred years ago in 1916, the men in this photograph took part in the assault on part of Mametz Wood called ‘The Hammerhead’. It was a costly disaster, with few ever reaching the wood itself. Today we remember that sacrifice a century on and wonder how this day affected those we see in this image, which includes some very young soldiers. This image shows men of the 2nd Battalion Yorkshire Regiment (Green Howards) taken behind the lines at a chateau near Corbie, on the eve of the Battle of the Somme, a century ago. The men in this photo were about to go into action on 1st July 1916: the Black Day of the British Army. One hundred years on we look into the faces of these men as we remember the battle and somehow images like this continue to speak to us, continue to give us small insights into the Somme generation. The 7th Battalion London Regiment was a pre-war Territorial Force battalion which was known as ‘The Shiny Seventh’ as it was the only non-rifle regiment in its brigade: rifle regiments wore black buttons and the brass or ‘shiny’ ones worn by the 7th made them stand out. Like all London Regiment Battalions they became a mini-regiment in 1914 forming three battalions: 1/7th, 2/7th and 3/7th. The 1/7th Battalion had arrived in France as part of the 140th Brigade, 47th (London) Division, in March 1915 and fought at Festubert and Loos in 1915, and then served at Vimy Ridge before they moved down to the Somme. The battalion entered the Somme via Yvrencheux, marching down from Vimy. It went into rest at Naours, where massive underground chalk quarries were used to shelter troops. After some further training, the battalion moved up to Albert on 12th September and entered the trenches near Bazentin le Petit. It took part in the attack on High Wood on 15th September 1916 when tanks were used for the first time. After two days of fighting they were relieved and marched out via Albert to Hénencourt Wood on rest. The battalion returned to front line on the Somme in early October in the sector beyond High Wood in front of the fortified farm at Eaucourt l’Abbaye. They took part in an attack on the Butte de Warlencourt on 7th October 1916 in which the leading waves were wiped out by machine-gun fire. Three days later they were relived once more and marched back to Albert. Total casualties since the fighting at High Wood were 30 officers and over 600 men. By 16th October the battalion had left the Somme to move north to Flanders. Somme Battle Honours: Somme 1916 , Albert 1916, Bazentin, Delville Wood, Pozières, Ginchy, Flers-Courcelette, Morval, Thiepval, Le Transloy, Ancre Heights, Ancre 1916. The Duke of Cambridge’s Own Middlesex Regiment had a proud history dating back to 1881. It’s nickname was the ‘Die Hards’ dating back to the Peninsular War when as the 57th Foot their Colonel fell mortally wounded and called out “Die hard the 57th, die hard!“. During the Battle of the Somme it had fifteen battalions in the field. The 1st Battalion Middlesex Regiment served with the 99th Brigade, 33rd Division and arrived on the Somme front on 8th July 1916 when they detrained at the railhead at Longeau. On 15th July they took part in an attack on the Switch Line near High Wood suffering 321 casualties, remaining in the High Wood area for some weeks. After a period of service in the trenches at Hebuterne, they returned to the battle and took part in an attack o Rainy and Dewdrop trenches near Lesboeufs on 24th October. 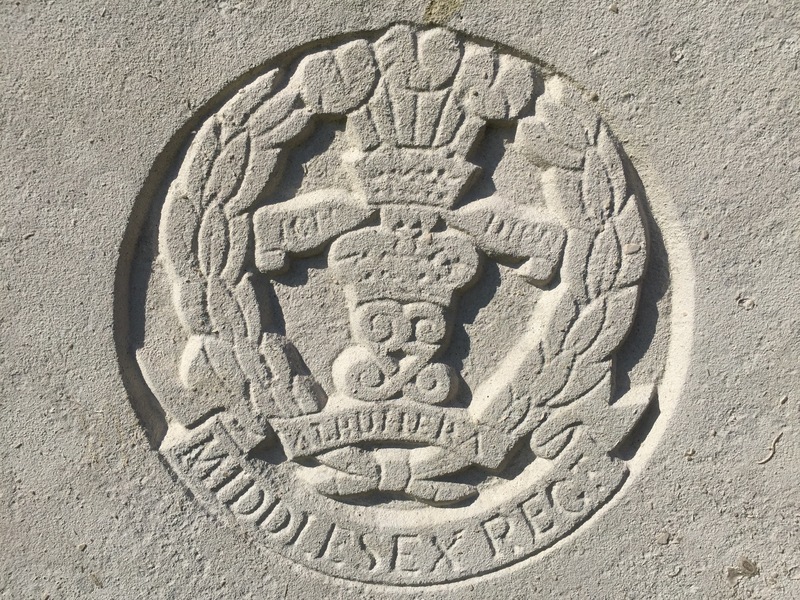 The 2nd Battalion Middlesex Regiment served with the 23rd Brigade, 8th Division. They had arrived on the Somme front in 1915 and spent many months here in the lead up to the battle. On 1st July 1916 they took part in the attack at Mash Valley near Ovillers suffering more than 650 casualties that day. The battalion returned to the Somme in October 1916 and took part in operations near Le Transloy losing more than 230 casualties in bitter hand to hand fighting at Zenith Trench. The 4th Battalion Middlesex Regiment served with the 63rd Brigade, 21st and 37th Division. They had been on the Somme several months before the battle and on 1st July 1916 took part in the attack between La Boisselle and Fricourt, suffering over 540 casualties by the time they were relieved. At the end of the Somme they served in the trenches in the Ancre Valley near Beaucourt. 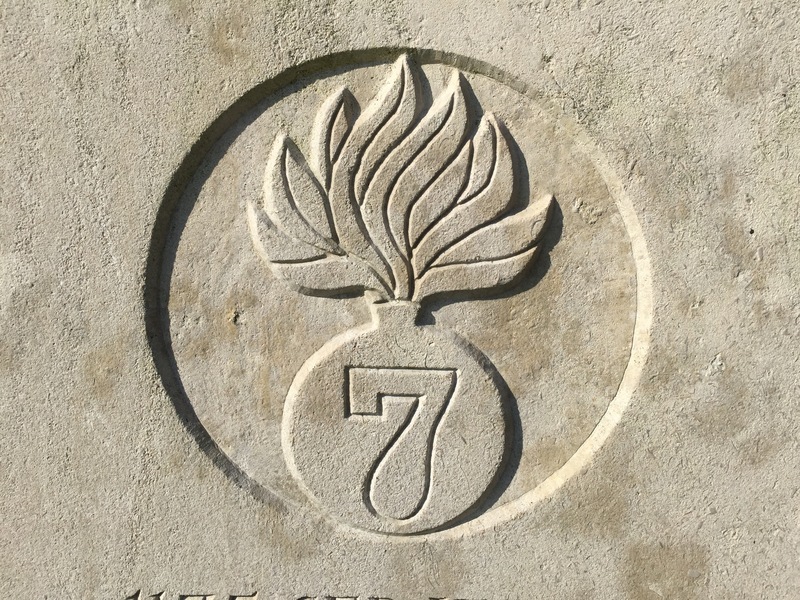 The 1/7th Battalion Middlesex Regiment served with the 167th Brigade, 56th (London) Division. They were on the Somme before the battle and helped dig assembly trenches near Hebuterne. On 1st July 1916 they were in reserve for the attack on Gommecourt. They trained with tanks in August 1916 near Abbeville and fought in the battles for Leuze Wood and Bouleaux Wood in September 1916. In one attack with the tanks on 15th September 1916 they lost over 300 men out of 500 who took part in the attack on ‘Bully Wood’. In October 1916 they fought at Spectrum Trench near Lesboeufs suffering nearly 200 casualties. The 1/8th Battalion Middlesex Regiment served with the 167th Brigade, 56th (London) Division. They were on the Somme before the battle and helped dig assembly trenches near Hebuterne. On 1st July 1916 they were in reserve for the attack on Gommecourt. They trained with tanks in August 1916 near Abbeville and fought in the battles for Leuze Wood in September 1916, losing 245 men on 15th September 1916. In October 1916 they served near Flers. The 11th Battalion Middlesex Regiment served with 36th Brigade, 12th (Eastern) Division. They were in reserve at the beginning of the Battle of the Somme and took part in the attack at Mash Valley, Ovillers, on both 3rd and 7th July 1916. They later took part in operations near Pozières and served in the trenches near Flers in October 1916. The 12th Battalion Middlesex Regiment served with the 54th Brigade, 18th (Eastern) Division. It arrived on the Somme in August 1915 and had served in the trenches at Fricourt and Bois Francais before the battle. On 1st July 1916 it was in reserve near Carnoy and moved up to support the advance on Montauban. On 13th/14th July 1916 it fought at Trônes Wood, suffering more than 280 casualties. After leaving the Somme for a couple of months, it returned and took part in the attack on Thiepval on 26th September 1916 when Privates F.J. Edwards and R. Ryder were both awarded the Victoria Cross. This was a successful attack but it cost them over 430 casualties. The battalion later fought at Regina Trench and spent the winter of 1916/17 on the Somme. The 13th Battalion Middlesex Regiment served with 73rd Brigade, 24th Division. It arrived on the Somme from Flanders at the end of July 1916 and took part in operations near Guillemont. On 30th August 1916 the battalion was in action at Delville Wood and in one day lost of 400 men in the fighting for Tea Trench. It left the Somme in mid-1916. The 16th Battalion Middlesex Regiment (Public Schools Battalion) served with 86th Brigade, 29th Division. It had been on the Somme since the spring of 1916 and on 1st July 1916 took part in the attack at Hawthorn Ridge, Beaumont-Hamel, suffering 524 casualties. It moved to Ypres for a while and then returned to the Somme in October 1916, serving near Flers. The 17th Battalion Middlesex Regiment (1st Football Battalion) served with the 6th Brigade, 2nd Division. The battalion arrived on the Somme in late July 1916 and took part in fighting at Waterlot Farm and Melville Wood. Black footballer Walter Tull served with the battalion at this time. It later served in the trenches at Serre and on 13th November 1916 was in the attack at Redan Ridge. The 18th Battalion Middlesex Regiment (1st Public Works Pioneers) served as pioneers to the 33rd Division. It arrived on the Somme in early July 1916 and took part in the fighting between Bazentin and High Wood in July and August 1916. After service elsewhere, it returned to the Somme in October 1916 and was based in the Mametz and Delville Wood areas. 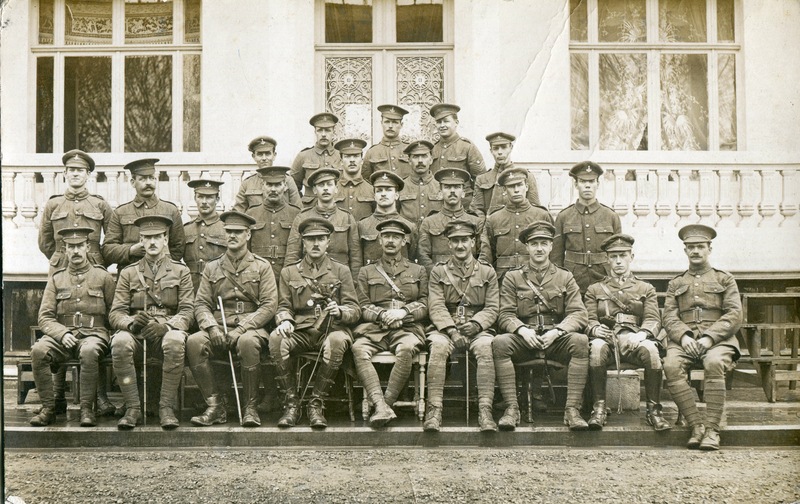 The 19th Battalion Middlesex Regiment (2nd Public Works Pioneers) served as pioneers to the 41st Division. It arrived on the Somme in late August 1916 and supported units of the division in the attack on Flers on 15th September 1916.In October 1916 it was based at Delville Wood and then moved to St Omer. The 20th Battalion and 21st Battalion Middlesex Regiment both served with the 121st Brigade, 40th Division. They were ‘bantam’ battalions made up of men of short stature. They served briefly in the Somme area in November 1916. The 23rd Battalion Middlesex Regiment (2nd Football Battalion) served with 123rd Brigade, 41st Division. The battalion arrived on the Somme at the end of August 1916 and served in Delville Wood and on 15th September 1916 was in support for the attack on the Switch Line, suffering 195 casualties. It later served in the trenches at Flers and Eaucourt and left the Somme in late October 1916. Researching a soldier from the Middlesex Regiment? We can help: click here for details of our WW1 Research Service.